Begun as a pork-barrel project by the federal government in the early 1900s, the Canton Asylum for Insane Indians quickly became a dumping ground for inconvenient Indians. The federal institution in Canton, South Dakota, deprived many Native patients of their freedom without genuine cause, often requiring only the signature of a reservation agent. Only nine Native patients in the asylum’s history were committed by court order. Without interpreters, mental evaluations, or therapeutic programs, few patients recovered. But who cared about Indians and what went on in South Dakota? After three decades of complacency, both the superintendent and the city of Canton were surprised to discover that someone did care and that a bitter fight to shut the asylum down was about to begin. In this disturbing tale, Carla Joinson unravels the question of why this institution persisted for so many years. She also investigates the people who allowed Canton Asylum’s mismanagement to reach such staggering proportions and asks why its administrators and staff were so indifferent to the misery experienced by patients. 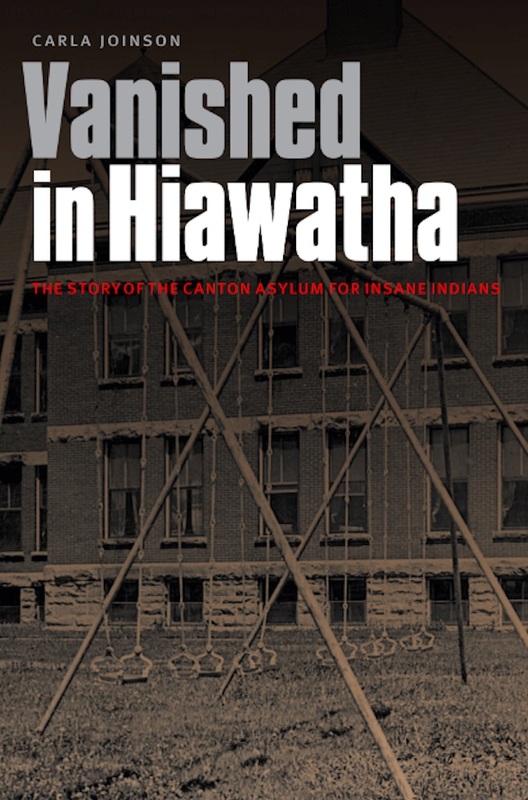 Vanished in Hiawatha is the harrowing tale of the mistreatment of Native American patients at a notorious insane asylum whose history helps us to understand the broader mistreatment of Native peoples under forced federal assimilation in the nineteenth and early twentieth centuries.